Today’s most advanced eye care is both fashionable and functional. 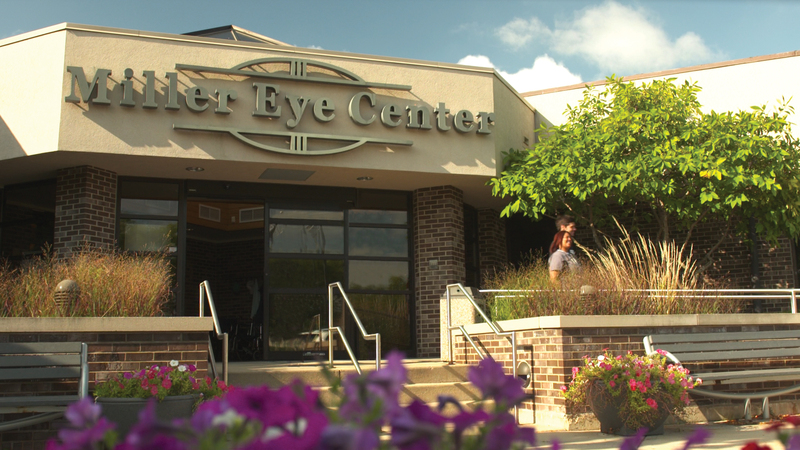 You’ll find the best of both worlds at Miller Eye Center and our one-stop Optical Shop. At Miller Eye Center, understanding a patient’s lifestyle and working environment is essential in creating the most comfortable and satisfying eyewear. Our Optical Shop provides high quality-frames and lenses to fit all of your lifestyle, occupational, and recreational needs. We keep close tabs on fashion and give you fast, easy access to today’s most popular designer frames. Most prescriptions can be created on site with our computerized lens grinding facilities. If you need your glasses in a hurry, ask us what options are available for your prescription. As a courtesy, eyewear adjustments, cleanings and repairs are always free; just stop in and see us. No appointment necessary. Our contact lens patients can rest assured because we have the most current advancements in contact lenses available. These lenses provide the comfort and value needed for your active lifestyle.